Business Archives · EDGe Vegas . she’s boosted the hotel-casino’s annual operating earnings by about $20 million. Now we understand why the first run of her contract ending next year was renewed for an additional two years. Having seen Britney a couple of times before “Piece of Me” I knew not to expect much (if any) singing and lazy dancing. I did expect to here some awesome JAMS (here’s a link to the original setlist on spotify that I’m listening to right now). I didn’t expect such a great audio-visual experience at the Axis Theater. It really is a great theater that would be great for a band with progressive instrumentation like Tool. I passed up an opportunity to see Britney a couple of weeks ago because I know the show isn’t going anywhere. I will definitely see “Piece of Me”, or a new version of the show, but probably won’t drop $100+ for the show that’s a live version of that spotify playlist. The casino always has the advantage in gambling so they’re guaranteed to make money as long as they have customers. The amount of money made in a casino probably wouldn’t surprise anyone. When we see gaming revenue it’s usually in bulk form from quarterly reports. Sure the bulk numbers are impressive but when you see the table game and slot machine revenue from Wynn and Las Vegas Sands (The Venetian and The Palazzo) broken down by day per table (updated for clarity) by fool.com you might be surprised. These numbers are impressive but are dwarfed by similar revenue from Las Vegas Sands and Wynn Macau casinos (see full chart here). Wynn has some of the biggest baccarat games in Las Vegas so the difference in table game revenue between Las Vegas Sands and Wynn doesn’t come as much of a surprise. The difference in slot machine revenue is a bit surprising since Las Vegas Sands has so many more slot machines between their properties. Whatever the case people are losing a lot of money every day gambling in these casinos. If we do win the casino will just sue for their losses anyway. I love a good survey. Today’s question from the American Gaming Association is a simple one. These results are from casino customers across the country. Since slot machines and video poker are combined in revenue reports this almost makes perfect sense. The only minor surprise is that poker sneaks in with 6%. If it wasn’t such a popular home game I might be more surprised. To say this was a chaotic weekend for Caesars Entertainment would be an understatement. On Friday they announced that they were leaving a casino project in Suffolk Downs, MA. Partner Suffolk Downs asked Caesars to withdraw following an investigation by the state’s gaming commission, according to a statement yesterday from the horse-track operator, which didn’t didn’t specify the findings and said it was confident it would receive approval on its own. Whoa. Before anyone could speculate what was happening Caesars Entertainment announced that they were cutting ties with Gansevoort. There would be no Gansevoort Las Vegas. Caesars Entertainment Corp. is ending its partnership with Gansevoort Hotel Group to transform Bill’s Gamblin’ Hall & Saloon into the luxury Gansevoort Las Vegas on the Strip. Caesars executive vice president Jan Jones confirmed the move on Sunday, two days after the Suffolk Downs ownership group said it had dropped partner Caesars Entertainment from its bid to build a $1 billion resort casino at the Massachusetts racetrack. In other words it seems as though Massachusetts wouldn’t allow Suffolk Downs to proceed with Caesars, in part, due to their ties with Gansevoort because they have ties to the Russian mob. The Las Vegas Review-Journal reports the move came after Massachusetts gambling investigators, during routine background checks of Caesars’ business partners, found an investor in New York-based Gansevoort was alleged to have ties to organized crime in Russia. This sounds like a scene from on of the awful Netflix Instant movies I watch. The hotel project formerly known as Gansevoort will continue. The rarely reliable Robin Leach says that Giada’s restaurant and Drai’s nightclub business will continue as things move forward. 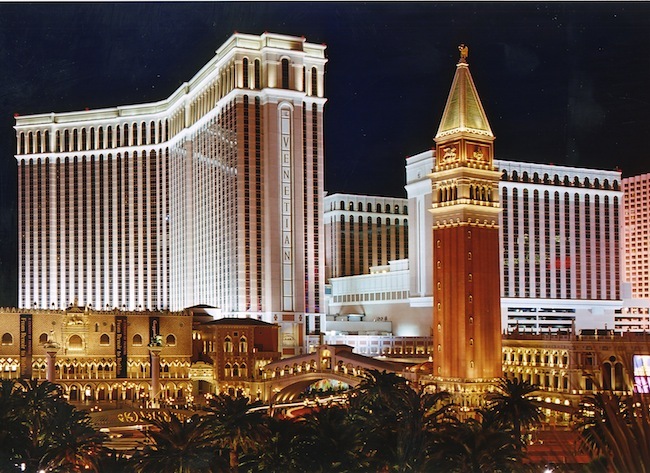 The Las Vegas project will continue for Caesars seeking a new partner. 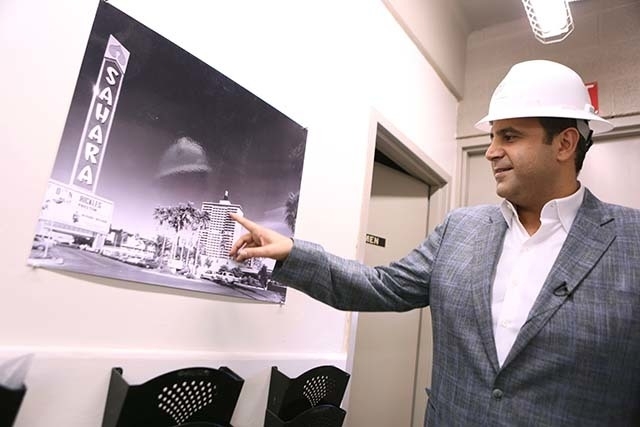 I don’t think Kimpton Hotels will be a demographic match for what Caesars was trying to put together for this property but I’d love to see them have a hotel in Las Vegas. The Suffolk Downs casino project will also proceed with a new partner. More on that another time. Throw all of this into the pot of reasons for people to speculate about Caesars filing for chapter 11. I don’t think it’s a matter of if Caesars will file for bankruptcy, only a matter of when. All of this doesn’t help. PS: If you get bored you can check out a blog I made a few years ago (pimpin at kimpton) after a fantastic stay at Hotel Monaco in Chicago. Update: Now it seems as if there are possible money laundering problems. Update 2: There was a shooting at Bally’s Las Vegas this morning.